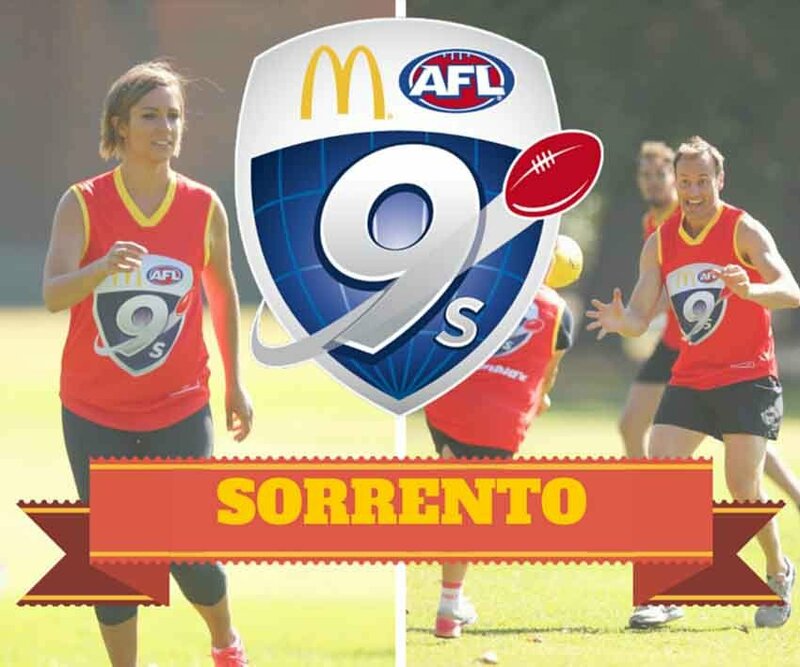 An exciting, AFL themed professional development opportunity is in place for Friday 1st February 2019 for all education staff in the West Perth, Subiaco and Claremont Districts. The event will be hosted at Alkimos Primary School starting at 11am. 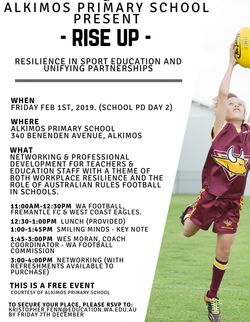 Attendees will have the opportunity to hear from Fremantle FC, West Coast Eagles and West Perth Falcons District Development Staff about the programs they are coordinating in schools, as well as the future plans for these programs, with particular focus on women’s football. 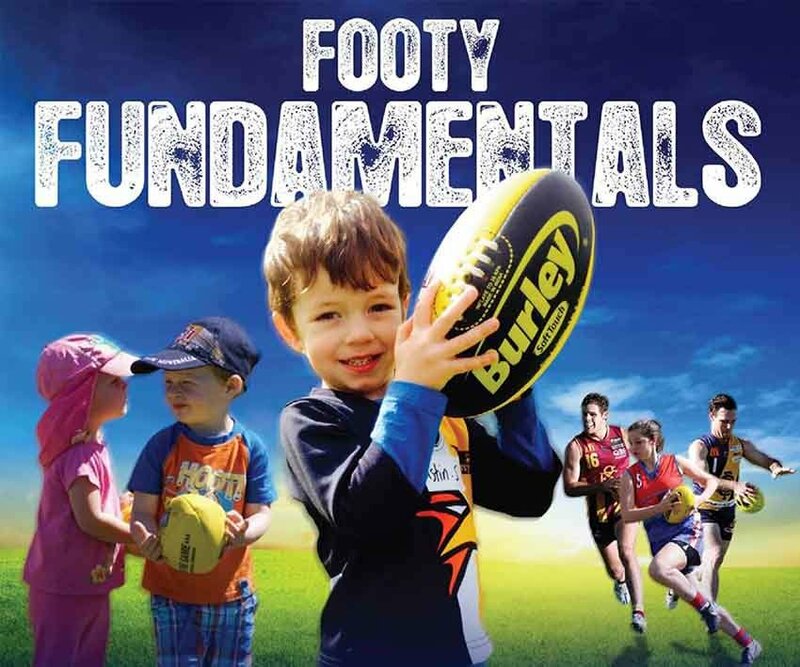 Alkimos Primary School Health and Phys Ed Specialist Kristopher Fenn, put forward the idea to provide a professional learning day specific to role of Australian Rules football in our schools, therefore providing a point of difference to most PD days for education staff. Smiling Minds has been engaged to present a workplace resilience workshop. As our key note presenters, they will be highlighting advantages of mindfulness and resilience concepts, not only in a sports setting but also in the classroom setting. Smiling Minds is currently utilised by over 50,000 teachers. Following this, a presentation from WAFC staff will provide a theoretical and practical session on coaching AFL in schools. The end of the sessions will provide an opportunity for education staff to network among each other. 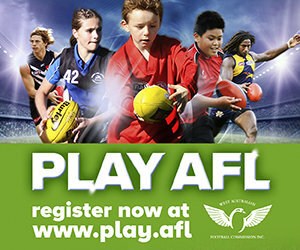 An invitation will also be extended to each school’s respective local club to build upon connections and pathways for students into their local clubs. Refreshments will be available for a small cost. This event is open to education staff within the West Perth, Claremont and Subiaco Districts. There is no cost attached to attend and lunch will be provided, courtesy of Alkimos Primary School. RSVP is essential by COB Friday 7th December to: Kristopher.fenn@education.wa.edu.au with each attendee’s full name, school and any dietary requirements. Please extend this invitation to other education staff within your school as this is not only limited to Physical Education Teachers. We hope to see many of you in attendance and look forward to meeting and working with many new faces.